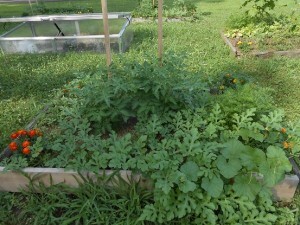 The frequent rains of June produced abundant growth in our raised beds. Check out the following July photos! 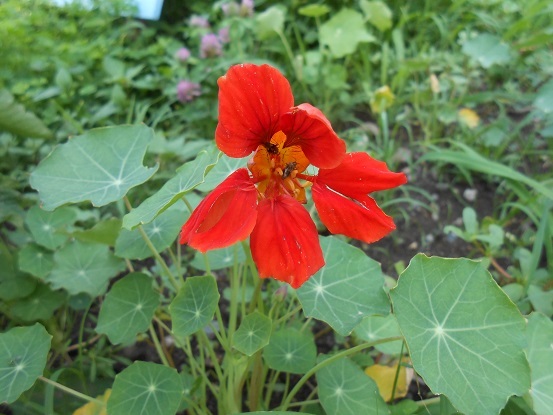 Nasturtiums are brilliant and edible! Look closely to observe the working pollinators. Bush style heirloom black beans will make a great addition to our salsa! 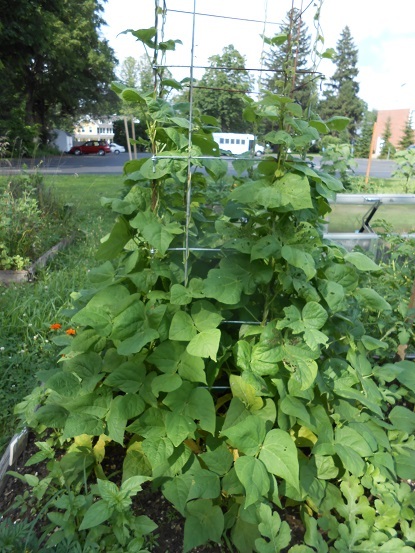 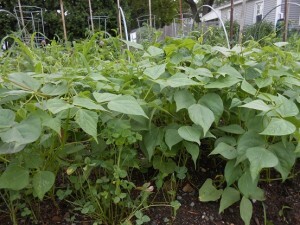 Our bean tower helps to maximize the amount of produce that can be harvested from each bed. 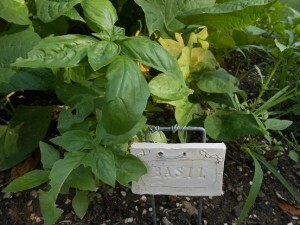 Basil loves the warm weather. 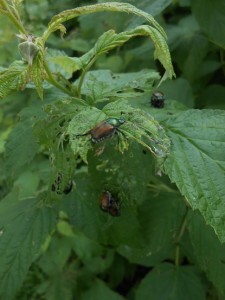 Japanese beetles are finding a feast on the raspberry leaves. Kids- have a contest to see who can collect the most beetles in a jar! Previous PostSpring Planting in the GardenNext PostWelcome Back to Campus!